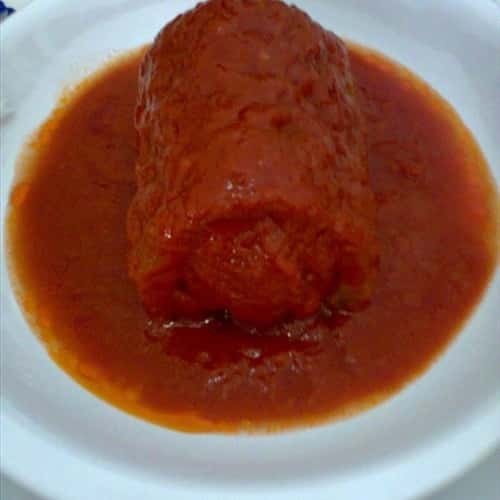 Every town of the Amalfi Coast has a typical dish, a traditional recipe usually prepared on special occasions, which becomes part of the cultural background of the territory. Atrani is a very charming village of the Amalfi Coast, willing as a natural amphitheater in the Dragone valley; fish and fresh handmade pasta are the main ingredients of its culinary tradition but its gastronomic specialties are the "sarchiapone" and "pasticciotto". Sarchiapone is prepared "with care and devotion" by local housewives on July 22, the patron saint day of St. Mary Magdalene. Since early morning, the alleys of the picturesque coastal town smell of a delicious aroma. What is the sarchiapone? Cylinders of long green pumpkin, emptied and filled with a mixture of minced meat, diced mozzarella, grated parmigiano, salami cut into thin slices, salt and pepper, Then, the long pumpkin cylinders are floured, fried and placed into a pan with tomato sauce, basil and grated parmigiano and baked for half an hour. 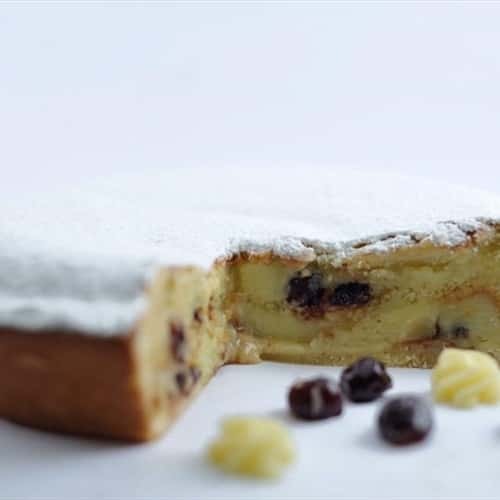 Pasticciotto is an extraordinary dessert prepared with very simple ingredients: a successful and lasting marriage between softy pastry cream, fragrant short pastry and juicy black cherries. A delight for the eyes and palate! Francesco Cretella and his wife Alda De Pascale wanted a simple and tasty cake to accompany their espresso served at Bar Lucia and, soon after, at Bar Vittoria in the lovely square of Atrani. From that moment, the pasticciotto has always received positive comments: love at first sight, a simple and unforgettable delight!